A pilot (Trevor Reid) approaching Shamrock is contacted by ground control just after he's told the stewardess, Margot (Margo Jenkins), they're twenty minutes from touch-down. He is advised of heavy fog and he's too high for approach. Bob Slade (Bruce Boa), the co-pilot, says ground control must know better than they, and they home in on the landing beacon. To the pilot's horror, the fog bank is a headland and they crash. Steed visits Freedman (John McLaren), the Irish airline manager, and finds that the crash occurred on a headland 20 miles north of the flight path. Freedman says the pilot was very experienced and ought to have contacted control if he were in trouble. Dr King is shown in by Deidre (Elisabeth Murray) and Steed tells him the plane crashed in a remote area inhabited only by a convent of nuns. Dr King asks why it's special enough to get Steed out of bed at 3am and is told the same airline lost a plane within five miles of the crash three months ago. 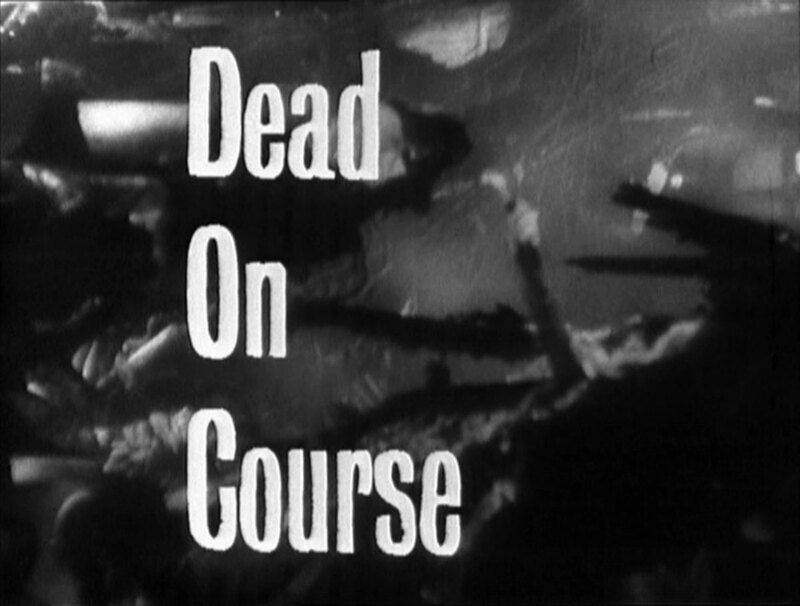 Steed asks him to examine the victims as the local doctor was concerned about the cause of death and Martin sets off. He arrives at St Mary's Convent and asks Sister Isobel (Janet Hargreaves) some questions, but the Mother Superior (Peggy Marshall) enters and explains they're a silent order except for herself. King examines a body and she says that while they were close to the crash they were too late to save any lives. Two rescue workers bring in Margot on a stretcher, saying she was some way away from the main site. King orders her taken near the fireplace, as she's still alive. One of the men says she must have escaped before the plane exploded and they'll go and look for 'the other one'. "What other one? ", asks King, and he's told an identity check found the hostess and co-pilot were missing from the wreck. Freedman takes Steed to see Hughes (Nigel Arkwright), an aeronautical researcher, and discovers the fire was further back and hotter than would be normal. Steed asks for the cargo manifest and then the box containing the consignment of £250,000 from the Canadian Bank. The box is badly burnt and the notes inside charred - but there's only £500. Freedman says it's all they found, the rest must have burnt - "And left no ash?" asks Steed. Meanwhile, Dr King arrives at the Ballynoch Inn. Michael Joyce (Liam Gaffney) tells Vincent O'Brien (Donal Donnelly) to take his bags while he puts through a call to Shamrock for the doctor; Vincent tells Dr King he lives only a mile from the convent and saw the crash - he ran all the way to the village to raise the alarm and adds he could tell him some weird things about it. Joyce calls King to the 'phone and warns him not to believe all that Vincent says. Martin tells Steed the hostess is alive and the co-pilot missing but the call is briefly interrupted when Gerry (Edward Kelsey) patches himself in at the switchboard - Gerry hears Steed will be joining King at the convent in two hours and makes a call to relay what he's just heard. Steed arrives at the convent and is let in by a man disguised as a nun (Wilfred Grove). Dr King shows him that Margot still can't be moved. King leads him out, not wanting to talk in front of Sister Isobel. He tells Steed most of the victims died on the ground - two from shock, the rest from concussion, burns and asphyxiation. The crew, who landed on softer ground are a different story: the wireless operator died from concussion, the co-pilot is missing, and the pilot was strangled! The next morning, Deidre arrives from Shamrock, saying she heard Margot was still alive. King agrees to take her to the convent but Steed pulls him back and tells him yesterday's 'phone call was tapped - Martin tells him he should talk to Vincent. Vincent returns and Steed tips him and Vincent conspiratorially tells him to meet him in the cellar in half an hour. Dr King and Deidre arrive at the convent and discover that Margot's improving under Isobel's care. Deidre says she'd flown with the pilot a few times, but not Slade - she met him a few times but doesn't really know him that well. She asks if his body has been found and King is suspicious but she sasys she assumed he was as he was missing. She asks if the police have searched the convent and the Mother Superior enters, saying the Garda are not allow in. She assures them she's searched the convent herself, and invites Deidre to join her in prayers for Margot. King heads back to the village, asking Isobel to write down anything Margot says if she regains consciousness. Meanwhile, in the cellar, Vincent repeats his crash story to Steed and adds that Mr Joyce told him to feed the rescue workers and he stayed until 'after that man came' - but clams up, saying he promised Joyce. Steed bribes him and he says an airman came to the inn and gave Joyce a lot of money to be shown the Dublin road - Steed is openly sceptical. Joyce comes looking for Vincent and Steed intercepts him, making Vincent mutter, "a very clever fellow indeed." 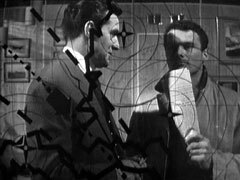 Steed returns to Shamrock and tells Freedman to make the details of the next money flight widely known and asks him to summon Deidre. Steed tells her that he knows she married Slade eleven months ago in Manitoba and mentions the missing money but Deidre swears Bob would never do a thing like that. 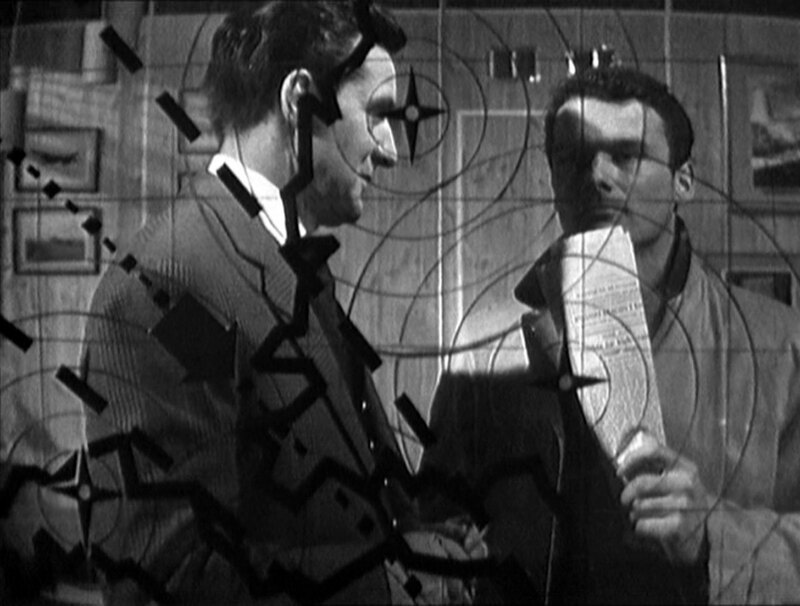 Steed asks Freedman to have Deidre followed after she leaves and he hands Steed an envelope - inside is one of the stolen notes, which had been tendered in the airport. He asks Freedman to see if they can find out where while he phones Ballynoch. Vincent answers - Dr King has returned to the convent - and Steed tells him to make sure King stays there until he arrives. Gerry overhears again and asks tells someone not to take any more chances. At the convent, Margot has come to. She tells King she remembers entering the cabin just before the crash and waking after the crash. She's about to make a revelation when the Mother Superior enters and tells him Steed has arrived, but men are forbidden inside the convent except for medical reasons. Margot passes out again so Martin asks Isobel to keep her relaxed until he returns. He leaves and someone kills Margot. At the convent, King convinces Isobel to break her vow of silence and she tells him that most of the sisters and the Mother Superior went to Rome six months ago, the new Mother Superior joined them three days later. At first she kept apart, and seemed to not know the routine of convent life. She also reveals that the Mother Superior asked her to leave Margot's side. The Mother Superior enters and orders Isobel out, then apprehends King at gunpoint. Steed and Freedman pilot the 'Montreal flight' and at 2210 Steed says it's time to turn back, telling Freedman the incoming flight had been diverted south ten minutes ago. They take over the scheduled flight's path and lock in on the homing beacon; Freedman realises they're on the wrong vector and Steed points out there's a false beacon in the headland. 'Shamrock Ground Control' contacts them and Freedman says they're probably using a low powered transmitter so Shamrock don't hear the transmissions. They accept the talkdown and Gerry is the post office gives them the orders. Dr King meanwhile is in the belfry with Bob Slade, guarded by the Mother Superior and the man dressed as a nun. Slade tells him it's just the two of them, plus the man at the post office and the ringleader. 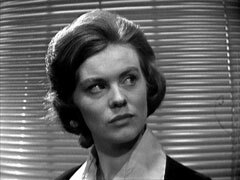 Deidre enters the cabin, wanting to know why they're landing and Steed says she has forty seconds to tell them anything she knows. 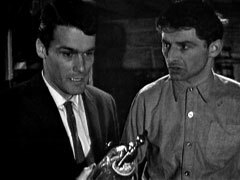 Vincent rushes in and, realising he's on the flight fated to crash, shouts into Freedman's microphone for them to stop the talkdown. Steed wrestles him to the ground and he confesses he's the ringleader, Joyce is innocent, and the money is in his baggage. 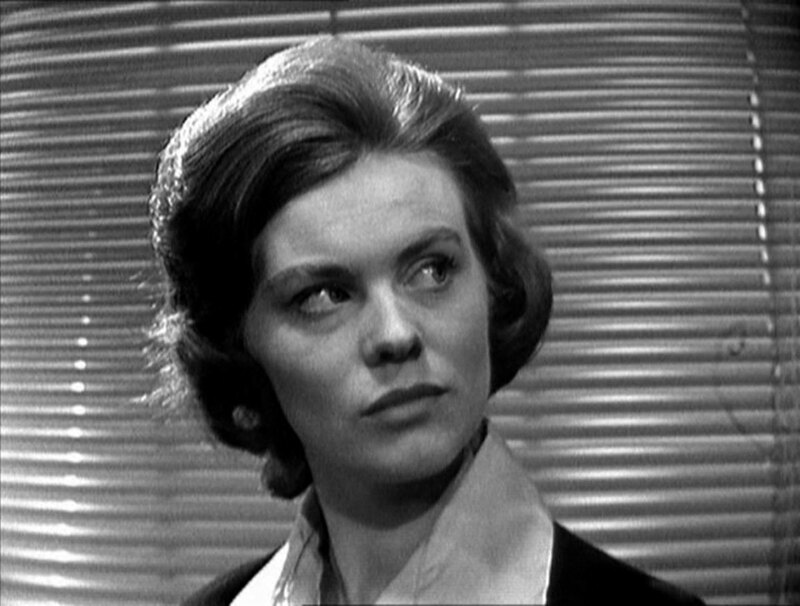 Steed thought Deidre would crack first and she reveals she'd been forced to act because Bob was being held captive; Margot had supplied the information for the previous flights, but thought it was for the insurance assessors. She thinks Bob must now be dead, as they said they'd kill him if anything went wrong. Gerry tells the convent that Vincent must have been double-crossing them. Isobel has seen the Mother Superior and nun impersonator leave the belfry and frees the captives before they return. The impersonator climbs the ladder first and is knocked back down, and the Mother Superior fires a hail of bullets from her submachinegun up the ladder. Dr King grabs one of the soda bottles and throws the makeshift bomb at her, and she's killed. Later on, Steed and Dr King leave the convent and Dr King says, "I suppose we're not flying back." Steed laughs and replies, "No, I don't think so".